The Global 1960s presents compelling narratives from around the world in order to de-center the roles played by the United States and Europe in both scholarship on, and popular memories of, the sixties. Geographically and chronologically broad, this volume scrutinizes the concept of "the sixties" as defined in both Western and non-Western contexts. It provides scope for a set of analyses that together span the late 1950s to the early 1970s. Written by a diverse and international group of contributors, chapters address topics ranging from the socialist scramble for Africa, to the Naxalite movement in West Bengal, the Troubles in Northern Ireland, global media coverage of Israel, Cold War politics in Hong Kong cinema, sexual revolution in France, and cultural imperialism in Latin America. 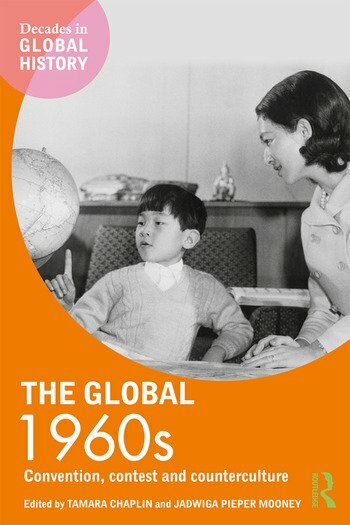 The Global 1960s explores the contest between convention and counter-culture that shaped this iconic decade, emphasizing that while the sixties are well-known for liberation, activism, and protest against the establishment, traditional hierarchies and social norms remained remarkably entrenched. Multi-faceted and transnational in approach, this book is valuable reading for all students and scholars of twentieth-century global history. Tamara Chaplin is Associate Professor of Modern European History at the University of Illinois at Urbana-Champaign, USA. Her publications include Turning On the Mind: French Philosophers on Television (2007) and articles in the Journal of the History of Sexuality, the Journal of the History of Ideas, and French Historical Studies. Jadwiga E. Pieper Mooney is Associate Professor of Modern Latin American History and Chair of Gender and Women’s Studies at the University of Arizona, USA. Her publications include The Politics of Motherhood: Maternity and Women’s Rights in Twentieth-Century Chile (2009) and De-Centering Cold War History: Local and Global Change (2012, co-edited with Fabio Lanza). "Our memory of the 1960s, unlike the events of the decade itself, has been provincial, focusing on a rather small number of activist groups and urban centers. And yet, from the most intimate forms of sexuality to the most public of geopolitical transformations, this was a period of global entanglement and exchange. This outstanding collection of essays show how a truly global account can enrich our understanding of the 1960s by placing themes of transnational circulation, international organization, and decolonization at the center of the story."